Last Halloween we told you about five of the spookiest tech threats of all time. From the infamous ILOVEYOU virus to Mydoom and the innocuous-sounding Pikachu, we reviewed them in all of their gory detail. Sadly but expectedly, the bad guys didn’t take a break in 2017. In fact, they only grew more nefarious. In the spirit of this spooky holiday, we here at Frontier IT in Colorado Springs review three of the creepiest cyber-security threats of the year. WannaCry. What small business owner didn’t wanna cry after reading about — or, God forbid, being affected by — this particularly virulent strain of ransomware that infected hundreds of thousands of computers across the globe? Also known as WannaCrypt, WannaCry paralyzed financial institutions, law enforcement agencies, colleges and even hospitals, encrypting files and demanding a ransom, paid in Bitcoin, to recover them — all the while searching for additional computers to infect. According to a May CBS News article, this vicious virus was estimated to have caused $4 billion in losses — nearly three times the total losses from all ransomware the year prior. Do you trust your life (or even just your leg) to your IT staff? The Equifax breach. We told you about this one, too — and it’s sure to make the list of 2017’s biggest news stories. In September, hackers exposed the data of nearly 150 million unfortunate folks — 66% of all Americans with credit histories, according to an article on the website of money expert Clark Howard. “Hackers exploited a security vulnerability in a U.S.-based application to gain access to consumers’ personal files. The company has not yet said which application or which vulnerability was the source of the unauthorized breach,” Clark.com reported. It’s too early to say just how many Americans will become victims of identity theft as a result, but one Seattle woman says her identity has been stolen 15 times since, according to The Huffington Post. Talk about a nightmare. The hacking of medical devices. In August we told you about a new CBS News special titled “Cyber Soldiers: Who protects your information?” It could have doubled as a Halloween special if it weren’t a documentary. A frightening tidbit from the special: On average, hackers make 10-50 cents per credit card number obtained illegally — but a whopping $30-500 per medical record. Even more frightening: A group of white-hat hackers demonstrated the breach of a medical device by hacking a vitals monitor hooked up to a reporter. “The nurse has no idea that I’m practically dead?” she asked. “The nurse has no idea that your heart has stopped beating,” a white-hat hacker replied. Spooked? You’re not alone. (We are too.) Still, ‘Ain’t nobody got time for this,’ you might be thinking. If you’re concerned about your business’ cybersecurity (and you should be, unless your business has a disaster mitigation and recovery plan), contact a managed service provider, or MSP, like Frontier IT. MSPs are like large, top-notch IT departments that offer their services to small- and mid-sized businesses at prices those businesses can afford. An MSP can ensure that your business has the antivirus software it needs, backup your company’s files in case of a disaster, protect and monitor your servers, and so much more. Interested? Drop us a line today. 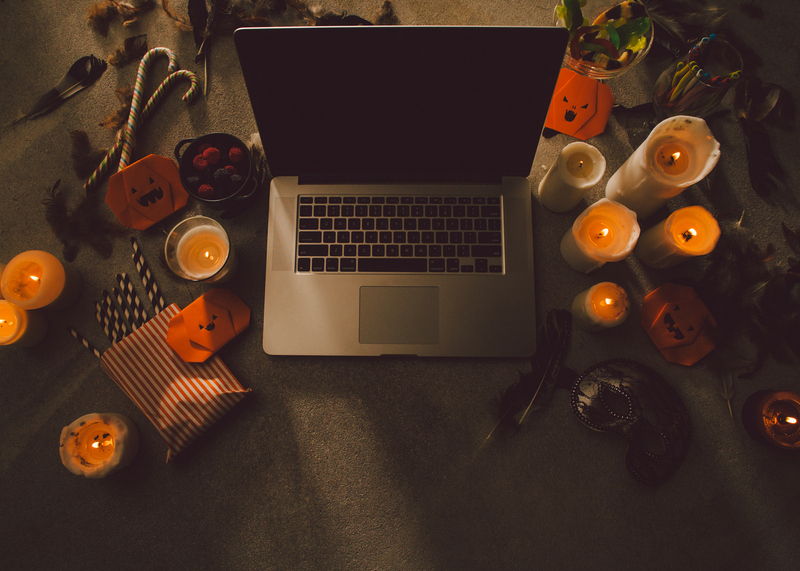 When it comes to your candy bucket as well as your inbox, here’s wishing you all treats and no tricks this Halloween.